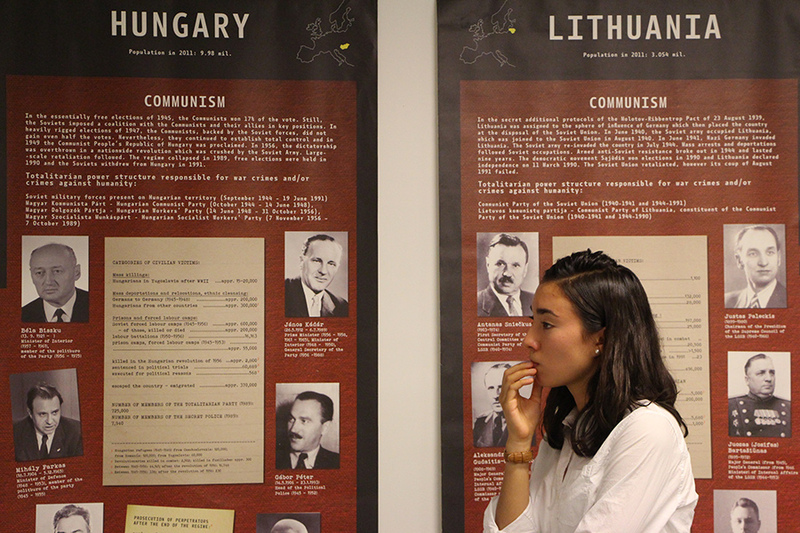 Platform’s Travelling Exhibition presented in Washington, D.C.
Washington, D.C. / Prague, 9 June 2015. 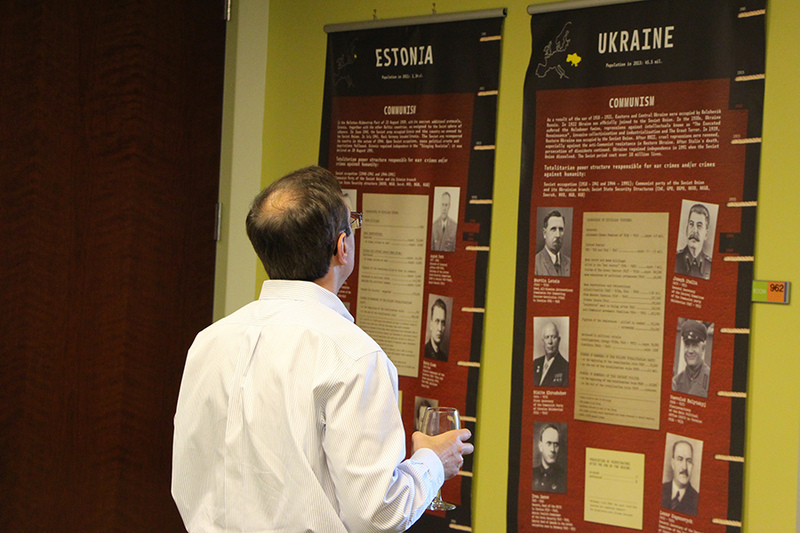 On 29 May the Platform of European Memory and Conscience presented its international travelling exhibition “Totalitarianism in Europe“ in Washington, D.C. As a commemoration of the 70th anniversary of the end of WWII, the exhibition was hosted by Platform Member Victims of Communism Memorial Foundation. “It was an opportunity to combine the exhibit with other programming, too. We hosted a conference for the anniversary of the Tiananmen Square massacre and included the display as a part of the program conference. 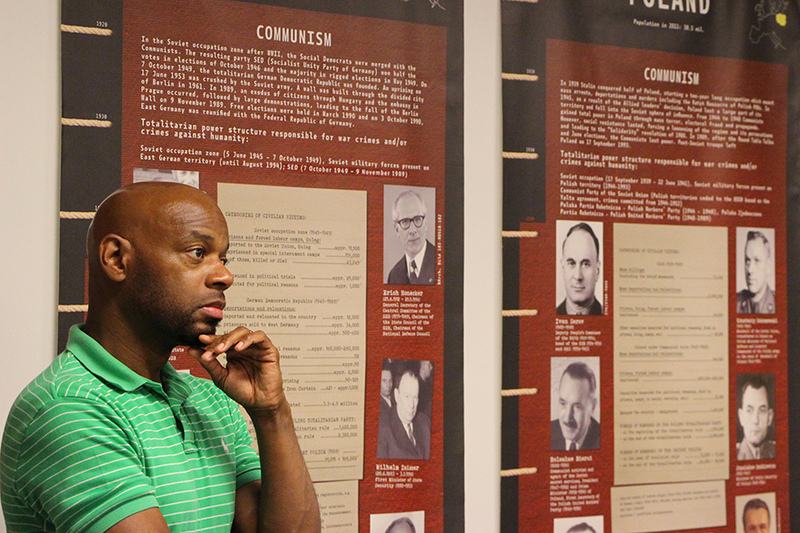 The participants were all very interested in the posters and were eager to discuss how their experience in China related to the larger tradition of totalitarianism across Europe.” said Marion Smith, the executive director of Victims of Communism Memorial Foundation.